We are working hard on our series of posts interviewing LEGO brick artists. 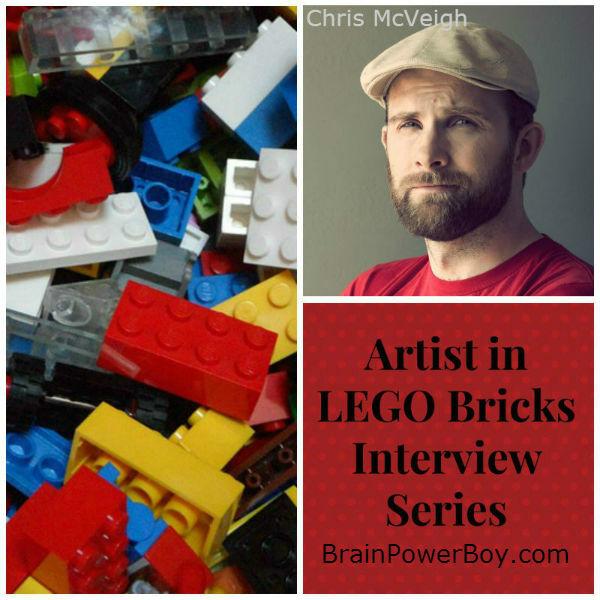 Today we meet up with Chris McVeigh and see what he has to say about LEGO and learning. 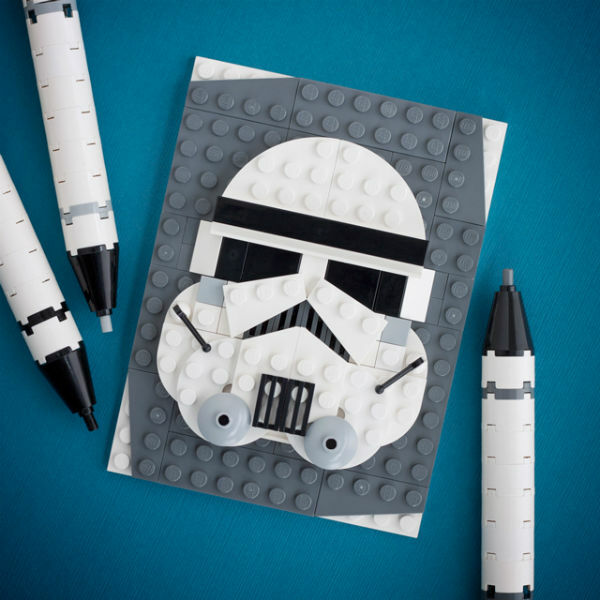 Chris McVeigh is a wonderful brick artist and it was a pleasure to take a look at his work and to interview him. There is certainly a lot of variety in Chris’ work. 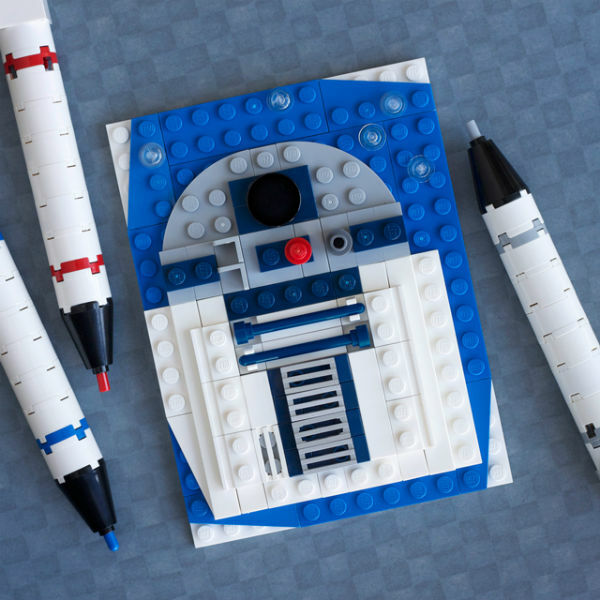 He is a toy photographer, as well as a LEGO Brick Artist. You can tell he has a lot of fun using LEGO in both endeavors. He is a self-described professional geek 🙂 and is also an author, photographer and artist. What drew me to Chris’ LEGO creations was a series of Brick Sketches. You can take a look at a few on them in the image below. They are so clever and unique. I love them! (do you?) I can’t wait to see the next one and I have pinned them all to my LEGO board on Pinterest. Yup, I really, really like them. Let’s hear what he has to say about LEGO and learning! This photograph of Chris’ really makes me smile. Be sure to check out the title. Before we get started, I want to let you know that Chris now has a book out two books out! You can see them here. Sheila: What type of things did you enjoy playing with when you were a child? I loved building big cities out of Lego, complete with houses, apartment buildings, food stands, garages and anything else that would seem at home in a bustling city center. I was always fascinated with cities as a child, in no small part to the fact I grew up in a very small town with few amenities. Lego gave me way to explore cities by building my own, I suppose. Even when it came to Kenner’s Star Wars toy line, I was very focused on building dioramas and scenes rather than having the action figures pew-pew each other over and over. I would often use foam packaging to create the Hoth Rebel base, and I even built a wooden version of Jabba’s Palace. Well, it was kind of a square wooden box, but it had a drop-down grate in the floor that let a figure fall to the Rancor pit! Sheila: What have you learned from playing with LEGO? Chris: Oh, I’ve learned a lot. About planning, about architecture and industrial design, and about problem solving. Lego is an incredibly broad play system, but it’s also a system with very strict limitations. A lot of my work involves replicating an object in Lego, and at a smaller size, and in order to achieve that I have to constantly rethink the constructions to find the best way to achieve a certain look. I am almost making considerations that balance sturdiness, recognizability and most importantly, how difficult/fun it is to build. Sheila: How can boys continue to work with LEGO as they grow older? Chris: I think the most important thing is for boys (and girls) to avoid that sense of shame that makes so many abandon Lego in their teens. Lego isn’t just a toy. It’s a medium. It’s like an artist’s palette for those with an eye for architecture or industrial design. I deeply regret my “dark age” (the term adult builders use to describe the span of time between abandoning Lego and rediscovering it as an adult). It makes me wonder if life would have taken an entirely different direction had I stuck with it! 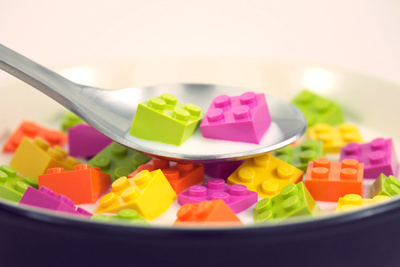 Sheila: What advice do you have for an aspiring LEGO creator? Chris: Build outside the lines. Building without a guide. Challenge yourself to build something you wouldn’t normally tackle. And most importantly, have fun! Around the Internet Chris is known as PowerPig. He very generously shares building guides for many of his creations as a downloadable pdf file. I think it is really nice of him to offer these guides for free! 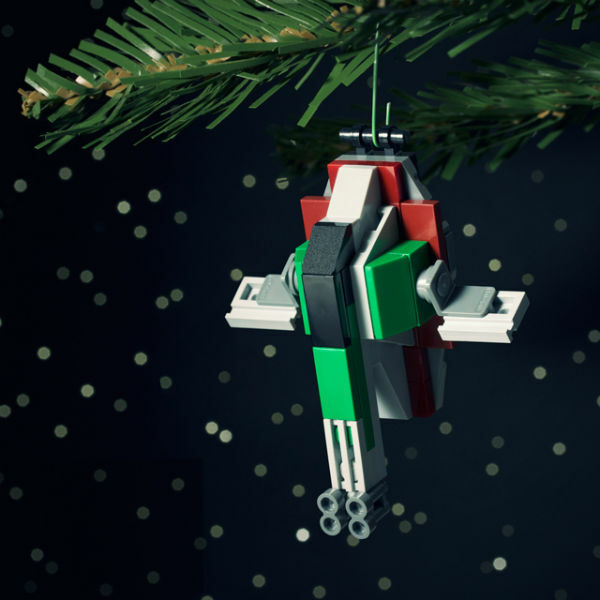 He is features in our DIY LEGO Christmas Projects post. You can see more of his work on his website, on Flicker (great place to see all of the Brick Sketches in one place) and on his Facebook page. 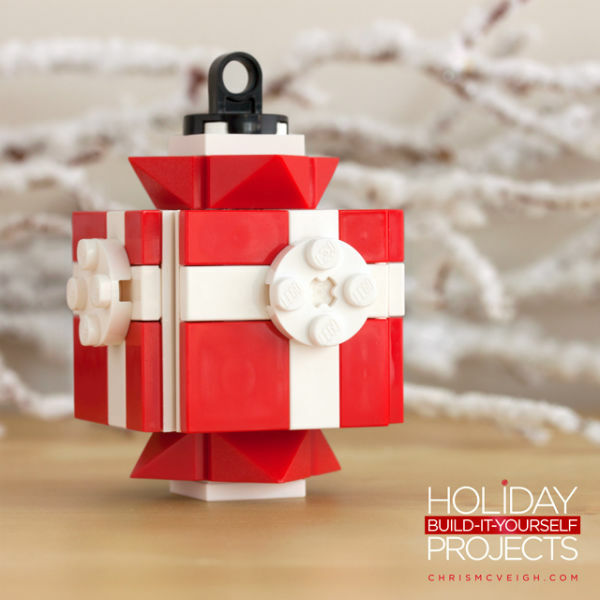 Special thanks to Chris for sharing his thoughts on LEGO and learning–I am looking forward to the next Brick Sketch. My daughter is 12 and loves creating with Legos EVERYDAY!!! Hours on End! Thank you for this particular interview as it will help encourage her to not abandon Legos. If u ever want to interview her, she is willing!